Angel Court has been shortlisted for four prestigious awards including the RIBA London Awards for architectural excellence in the capital. The RIBA Awards recognise innovative architectural projects that display a commitment to designing and developing buildings and spaces to improve and enhance people’s lives. Designed by architects Fletcher Priest, the 24-storey tower was the first to complete in 2017 and was named Tall Building of the Year 2017 at the AJ Architecture Awards. The building’s innovative and sustainable design involved replacing the original 1970s structure with a bright, light façade which rises up out of a low-level block. The translucent glass tower benefits from panoramic views from its ‘Sky’ floors, roof terraces on its ‘Garden’ floors, and a Wi-Fi enabled communal business lounge with garden-access for all occupiers to use. At street level, Angel Court has been transformed from a dark alleyway into a bright pedestrian street and lively gastronomic destination. In addition to the RIBA Award, Angel Court has been shortlisted for the BCO Regional Awards in the Best Commercial Workplace category and the RICS Awards for Commercial Building of the Year. The scheme has also been selected as a finalist in the Best Tall Building Europe category at The Council on Tall Buildings and Urban Habitat (CTBUH) 2018 Awards, one of only two London towers to be shortlisted. Mitsui Fudosan’s other award-winning projects include 8-10 Moorgate, which won the prestigious City Heritage Award in 2015, and 5 Hanover Square, winner of the London LABC National Building Excellence Award for Best Small Commercial Building in 2013. 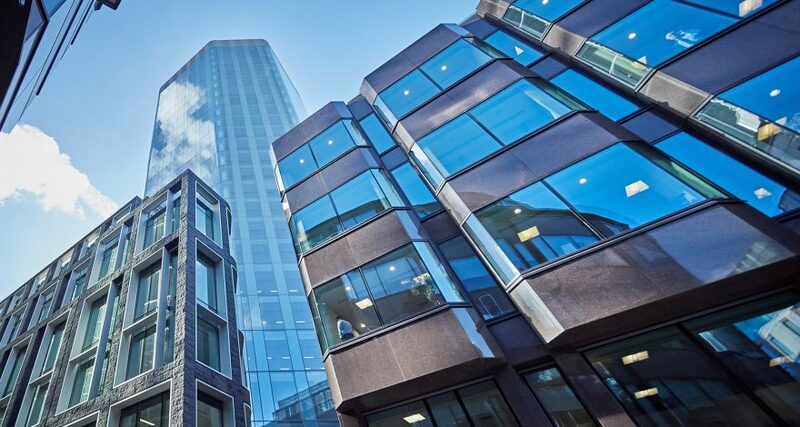 Last month Mitsui Fudosan and development partner Stanhope announced a major letting with international financial services group Prudential signing up for 60,000 sq ft, taking the 300,000 sq ft building to over 80% let within 12 months of completion.